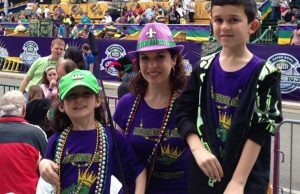 Tips and tricks for surviving your first carnival season as a parent. Whether you’re a native, or you’re raising a first-generation New Orleanian, Carnival is a tradition the whole family will cherish forever! There are several schools and churches on or near the routes that allow you to buy a bathroom pass for a fee. If you’re really lucky, you may know someone who lives near the route. Start Google-mapping your friends now. Bring your own toilet paper and hand sanitizer if you are not lucky enough to have a friend near a route. 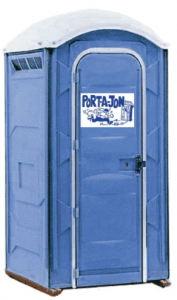 The best spots to watch the parades are, of course, located near the home of a friend with a bathroom. Barring that, we like watching at the beginning of almost every parade, which is great for parents who want to get their kids home ASAP on a school night – start earlier, end earlier. They are a must-have if you’re going with younger kids. We use them to cart drinks, snacks and folding chairs to the parade and to bring tired kids and bags of beads home. Don’t forget to pack wet wipes, hand sanitizer, spare diapers and lots of water. Most of what you catch at the parades is pure junk. We’re looking at you, beads made in China and oftentimes destined for the nearest landfill. Donate them to the ARC of Greater New Orleans, where disabled citizens sort the beads and re-sell them to next year’s riders. Wear matching t-shirts, especially easy-to-see ones. It makes finding everyone in your group much easier – and faster. Take a picture of your child as he or she is dressed that day. That way, if you need to show a picture to the police or other adults, they’ll know exactly who to look for. 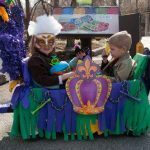 Looking for some family-friendly parade fun? 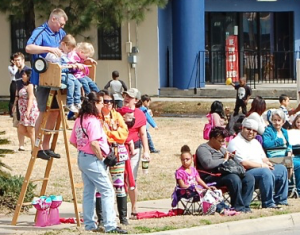 Click here for our favorite parades your family will love!